I’m extremely excited and honored to be the Writer of the Month for Drunk Monkey’s January issue! View the January feature by clicking here. 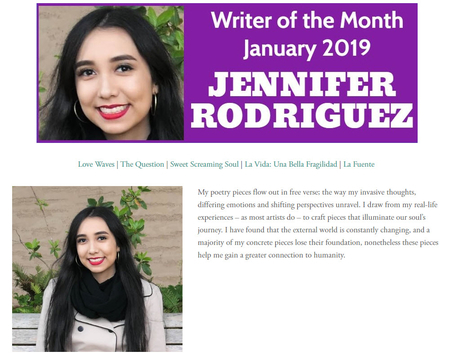 Incredibly grateful and honored to be the featured writer of the month for January 2019! New poetry pieces will be coming out on January 7th 2019. Stay tuned and visit Drunk Monkeys. When will you see all that you’re truly meant to be, is beyond what you see?